We take care of all your healing needs through our extensive range of holistic treatments. They include : Tarot Readings; Reiki Healing; Crystal Bowl Sound Healing and Massage Rituals / Reflexology and Ear Candling. Carmel Glenane is the founder of Senju Kannon Reiki™ , a Divine Feminine source Reiki healing & teachings focusing on the integration of Divine Feminine & Divine Masculine energy. She is a globally recognised Reiki Master Trainer. 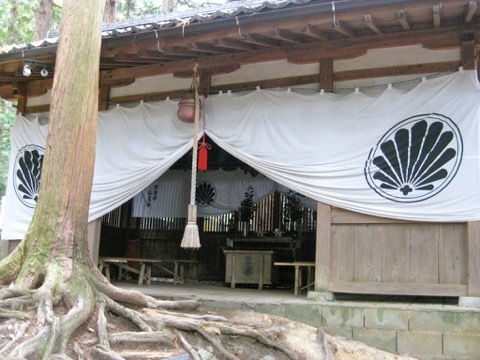 She facilitates Tours to Reiki's birthplace on Mt Kurama Japan, to teach Reiki. We are a Temple for Crystal Tones Crystal Singing Bowls, and retail an extensive range of Advanced Alchemy Sonic Masterpieces. They are powerful code breakers cracking the minds resistance to the path of the Heart. We retail a large range of unique, handmade jewellery from both Australian and Global designers which you will find nowhere else in the region. Carmel has been facilitating spiritual tours to many countries since 2001. Her current Tours include Japan May 2019 and Egypt November 2019. Carmel Glenane BA Dip Ed founded the Atlantis-Rising Healing Centre™, and began teaching and healing in Coolangatta in 1991. Today the business is located directly in the the heart of Coolangatta, in Calypso Plaza Resort, with a retail gallery of Crystal Tones Crystal singing bowls and fine designer jewellery. We have spacious energized therapy rooms for Readings, Healing, Training and Massage. Our Healing works through the principle of self-nurturing. By nurturing yourself through Reiki and the Feminine Energies, the mystery of the soul unravels, your perception becomes clear and your life improves, bringing Peace and Love. The Atlantis Rising Mystery School was founded in 2006, and teaches through The Philosophy of the Divine Feminine. The Ascension program teaches through the 5 levels of initiation revealing the mysteries gently. We introduce you to the Mysteries through the healing vibration of Reiki (Senju-Kannon-USUI). Attunements are available in one-on-one intensive course or through work shops. Allow the secrets to be revealed to you through the mysteries of the feminine energies. Carmel Glenane founder and owner of the Atlantis Rising Healing Centre™ & Mystery School is an International Teacher, published author and sought-after speaker and healer.